On this episode of Knitting Daily TV we're focusing on small projects. These are projects that vary in time commitment and experience level – but are easily portable and don't require a huge investment in yarn. Eunny has some creative ideas for using up your yarn stash by making a magic ball, or using yarn leftovers for embellishment work. Magic ball knitting is a fun, frugal way to turn your scraps into a finished project. Download this tips and more with your free download to 30 tips, hints, and secrets from this season of Knitting Daily TV. Eunny is wearing a sweater from the Spring issue of Interweave Crochet. Join Kristin as she meets with Lisa Myers on location. Lisa discusses the Manos del Uruguay co-operative, which was recently admitted as a full member of the World Fair Trade Organization. Learn more about this organization at Fairmount Fibers' website. 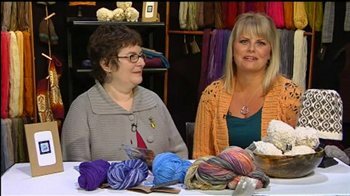 Have fun with Kristin on this episode's Crochet Corner and learn to crochet a poodle. Its worked mostly in un-joined spiral rounds. 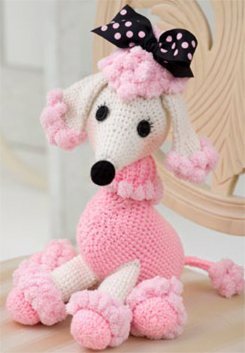 Download your free pattern for the Pom-a-Poodle and crochet along with Kristin to make this cute critter. Kristin is wearing a shawl from her own pattern line, Styled by Kristin. 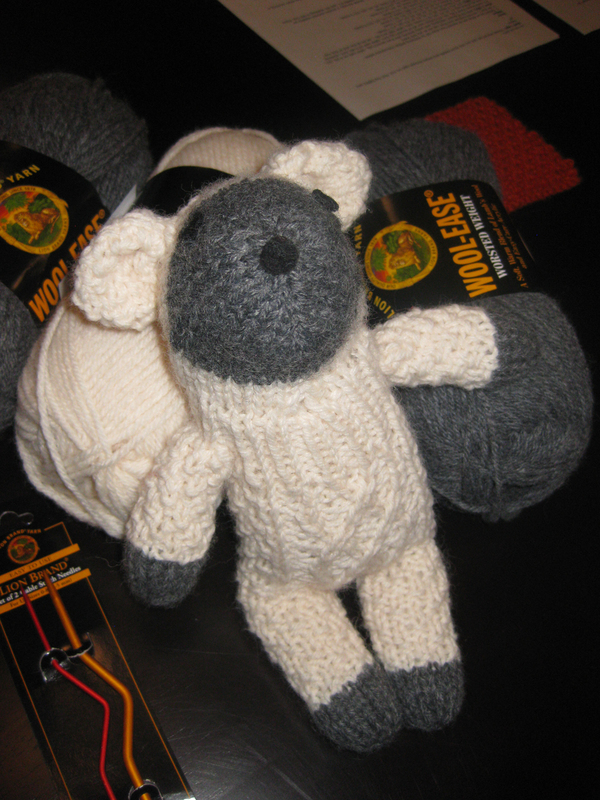 On this episode's knit-along, Zontee Hou and Eunny continue with the Little Lamb Sock Critter knit-along. You'll learn how to shape the head with simple decreases. 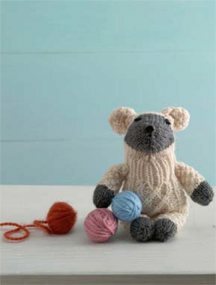 Download your free pattern for the Little Lamb Sock Critter so you can follow along.